Remember that one bit in Metal Gear Solid where the boss starts to mess with you, the player, and for a few minutes you wonder if A) the game is broken or B) you've actually gone insane trying to follow a Hideo Kojima plotline? GLTCH is that experience, boiled down to its essentials and turned into a mobile game. 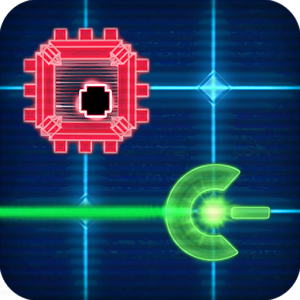 The mechanics of the title are laughably simple: you travel around a TRON-inspired 2D grid grabbing points like a postmodern Pac-Man. Grab the blue stuff, avoid the red stuff - pretty basic. 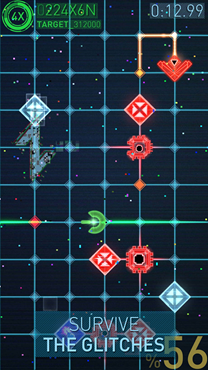 Powerups will let you clear the field, increase your speed, or go invincible. The interesting portions of the game, the glitches, unlock as you progress. 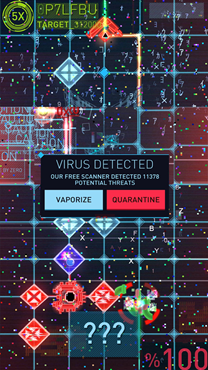 Most of these manifest as visual interference, more stuff to clutter up the game field and hinder your progress through the endless mode. But some will actually slow you down, change your direction, create a clone of your ship so you don't know which one is actually in peril. Things get progressively more insane as you continue. It's an interesting twist on a simple idea. 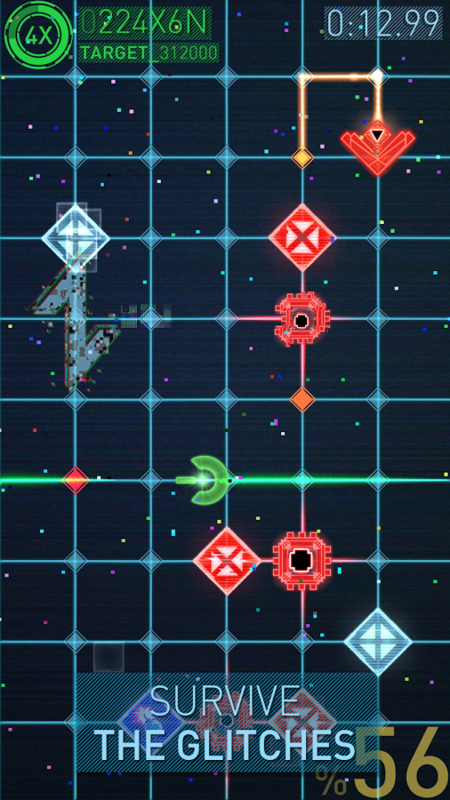 GLTCH might be a lot more interesting without some serious problems with the controls and IAP. You can only change direction with a swipe, which is slower than a conventional D-pad and often obscures the field of play with your thumb. There's also a lives system that you can refill with real cash, which (in the world of freemium mobile gaming) is just a slightly more polite "power" or "gas" setup. 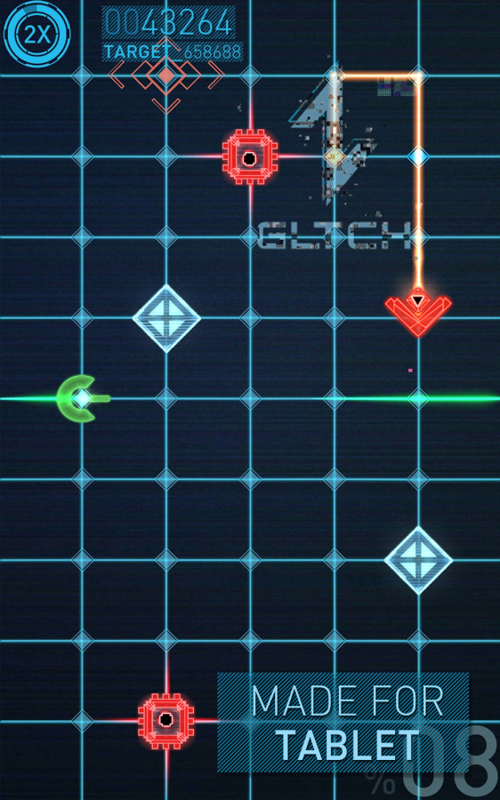 Even so, GLTCH is worth a look if you'd like to check out some new ways to enliven old gameplay.